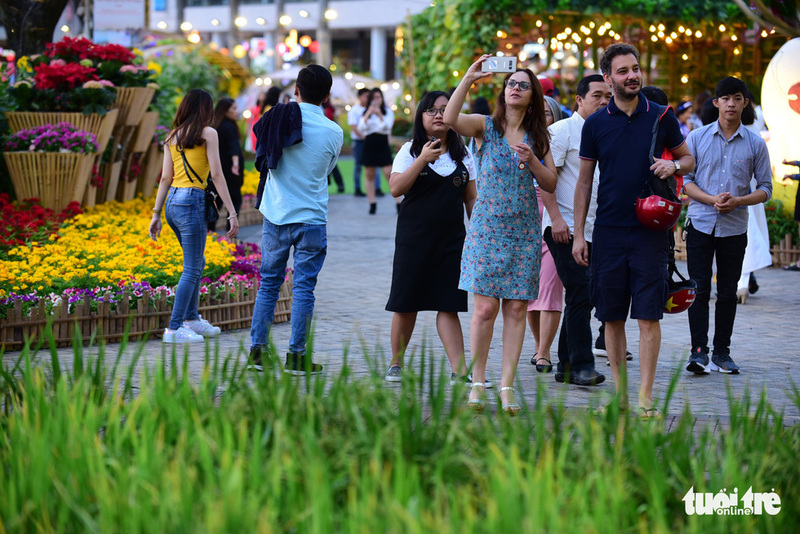 A Ho Chi Minh City neighborhood where a vibrant expat community lives has opened a spring flower festival this week to welcome the Lunar New Year (Tet) celebration, which is due in a matter of days. 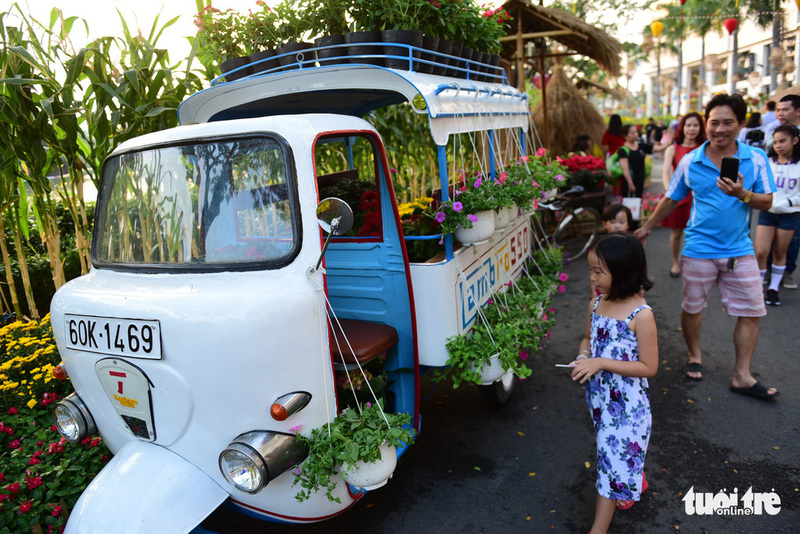 The “Flower and Life” fest kicked off on January 28 and will wrap on February 4 in Phu My Hung New Urban Area in District 7. 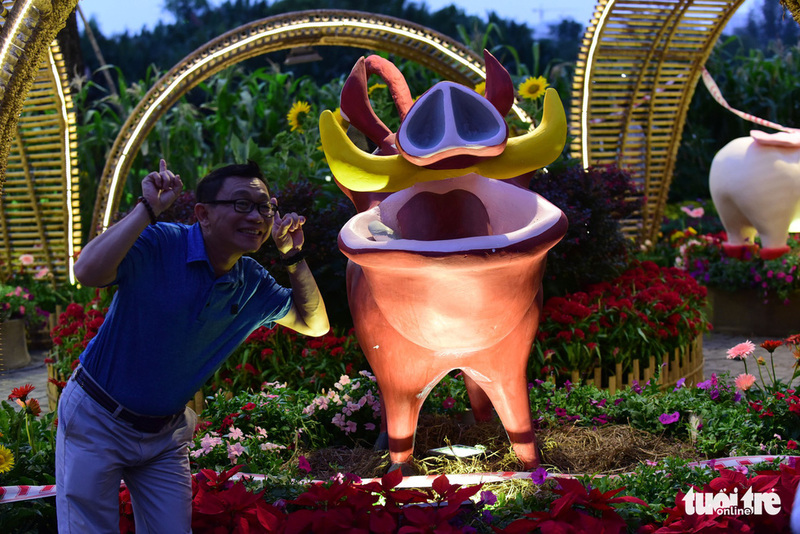 The festival showcases the settings of a Vietnamese rural area, with the addition of golden pigs, the eastern zodiac of the year 2019 in the lunar calendar. The festival comprises four distinct, but closely related contexts, spanning 7ha in scale. 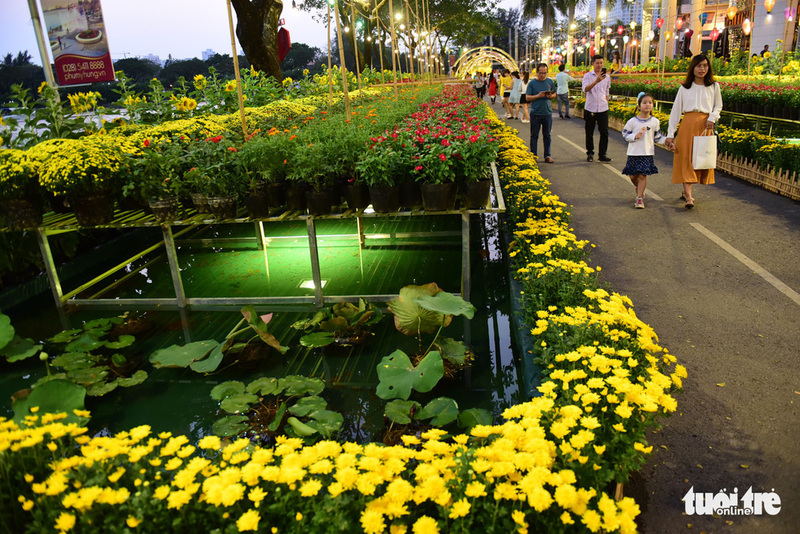 The spring dock portrays the traditional view of a floating flower market in Vietnam. The spring garden, on the other hand, illustrates a series of peace villages richly embellished with vegetables. 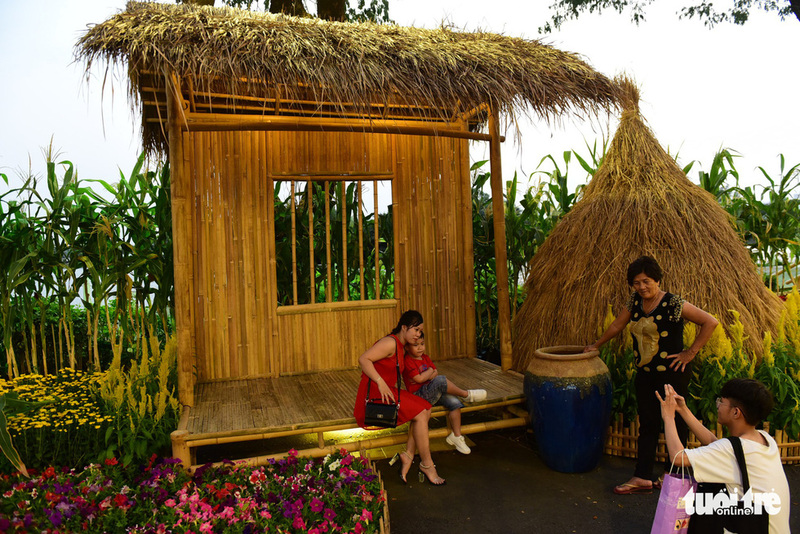 Meanwhile, the spring corner displays flower products from many artists hailing from the Mekong Delta in southern Vietnam. 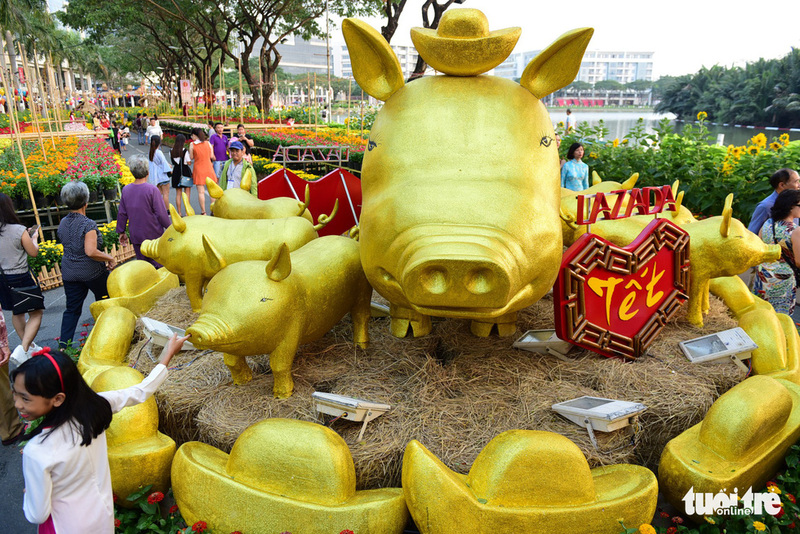 The spring street is dotted with golden pig statues, with some grazing away at the rice fields, while others greet sightseers. Needless to say, apricot and peach blossoms, the hallmarks of the Lunar New Year celebration, constitute a major part of the festival. “The esthetic beauty is just so sublime. My daughters cherish everything, from the mini-scenes of old, to the rice paddies, and the golden pigs! 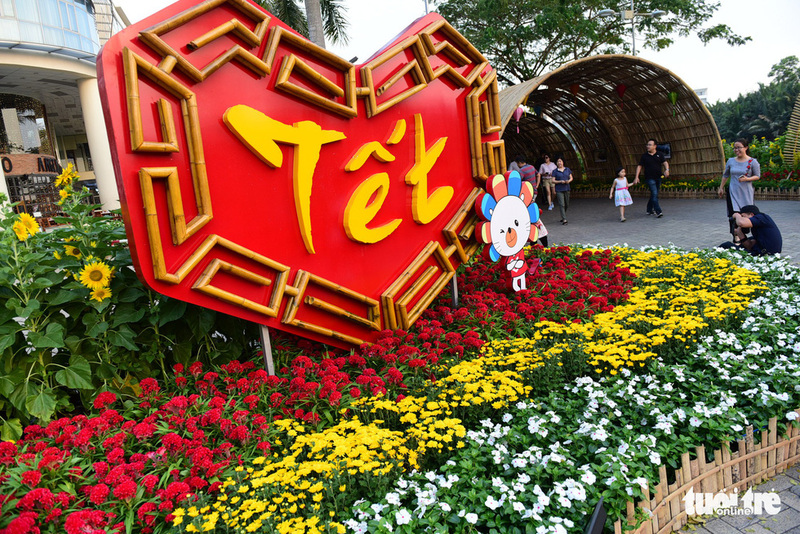 They could never have enjoyed the Tet holiday this much in Australia,” Hoa Binh, an overseas Vietnamese, said. But the cultural aspects shine even brighter at night, when Vietnamese folk music performances are held. Sightseers hence have the chance to witness the north’s quan ho, the central’s nha nhac, and the south’s don ca tai tu all in one go. 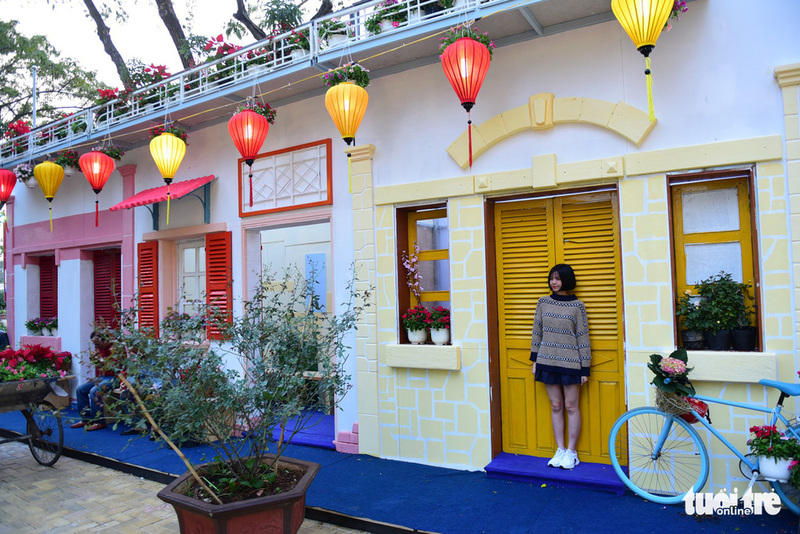 But what sets the festival this year apart from the previous versions is the addition of storytelling sessions, which signify the bond and warmth of Vietnamese. 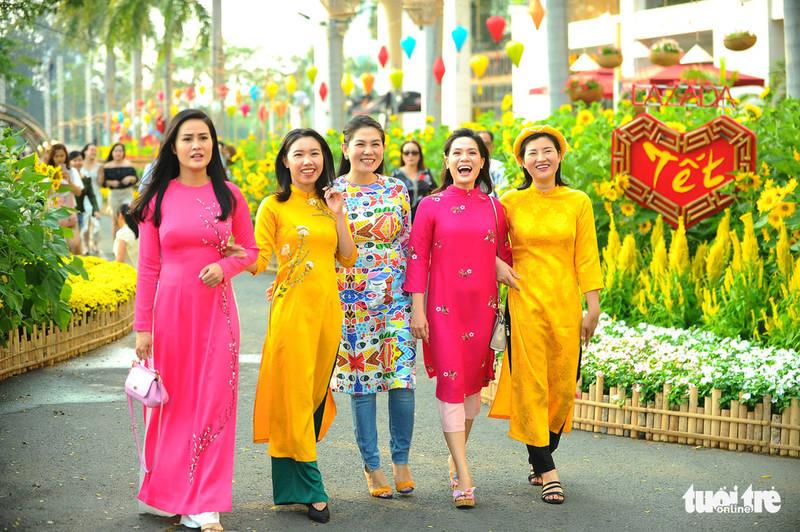 The new lunar year begins on February 5 but Vietnamese have been preparing for this public holiday for the past two weeks. Phu My Hung is a model residential area where many expats choose to live thanks to its diverse amenities and a fresh atmosphere.